Google Photos is a great tool for managing, syncing, and sharing your photos. It's packed with useful features and even includes an algorithm that prevents you from uploading the same photos twice. Nevertheless, duplicate photos in Google Photos are quite common. Duplicate Photo Cleaner can help to deal with them quickly and easily. How Did I Get Duplicate Images in Google Photos in the First Place? That's a logical question especially since Google Photos has features that recognize duplicate photos. The uploaders prevent you from uploading identical images to your albums, and mobile and Web clients will automatically hide duplicate photos and display only one copy. However, these features only work provided the images are exact duplicates. This means that nearly identical photos or copies that were changed in some ways will stay untouched. To delete these types of duplicate and similar photos from Google Photos albums, you'll either have to go through all your images and delete the copies manually or use Duplicate Photo Cleaner to remove them automatically. Google still doesn't provide a fully-functional API for Google Photos that developers can integrate into their software. That's why you won't find a Google Photos mode in any duplicate finder available today. This doesn't mean that you can't use a duplicate photo finder to manage your Google Photos albums. All you need to do is connect your albums to Google Drive, download the folder with your photos to your computer, and then scan that folder with Duplicate Photo Cleaner just like you would scan any other local folder. Now ensure that your computer is synced with your Google Drive. For that, you'll need to have the Google Drive app (now called Backup & Sync) installed on your computer and have an active Internet connection. When you've installed the Drive app, log in to your account. The app will create a "Google Drive" folder on your computer where you'll find all the files and folders from your Drive account. Now go to your Google Drive account online and make sure that Google Photos are backed up to the Drive. To do that, click on the "Gear" icon and select "Settings" from the drop-down menu. Scroll down and select "Automatically put your Google Photos into a folder in My Drive". You will see a "Google Photos" subfolder appear in the "Google Drive" folder on your computer. Wait for the Google Drive app to download all the photos from your Google Photos account to your computer. Now open Duplicate Photo Cleaner, select the "Standard Scan" option and set the similarity threshold to 50% (that's the default value). Drag & drop the "Google Photos" folder to the "Include to scan" area and press the "Start Scan" button. Wait for the scan to finish and click on the "Go Fix Them" button to inspect the scan results. Choose between the Multi-Viewer (list and group view), Tree View and Table View, and select the duplicates and similar you want to delete. Make sure you take advantage of DPC's bulk-selection options. When you've selected all the duplicates you want to delete from Google Photos, click on the Trash Can button to remove them or use other file management options. If you discover that you've deleted some photos by accident, use the "Undo" button to undelete them. 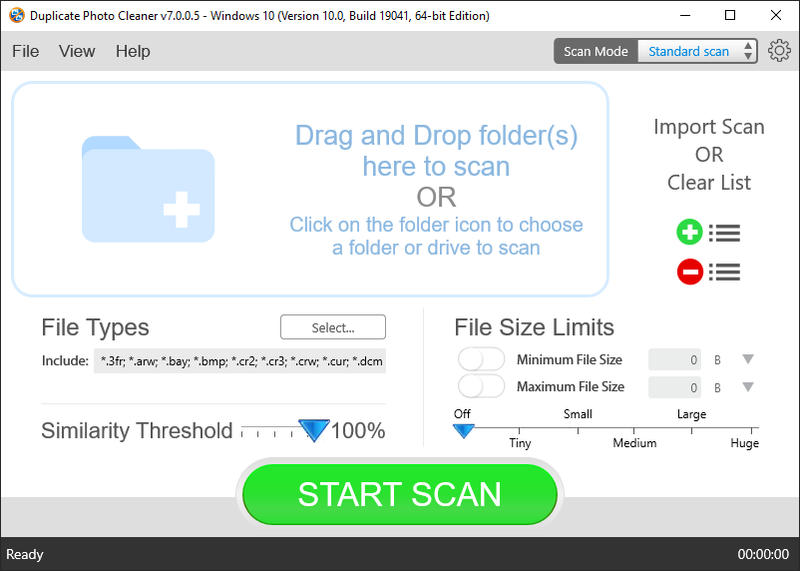 Just make sure you don't close Duplicate Photo Cleaner or start a new scan because then the "Undo" feature won't work. As you can see, there is an easy way to remove duplicate photos from Google Photos with Duplicate Photo Cleaner. Just follow the steps above and you'll have beautiful and organize photo albums in no time!